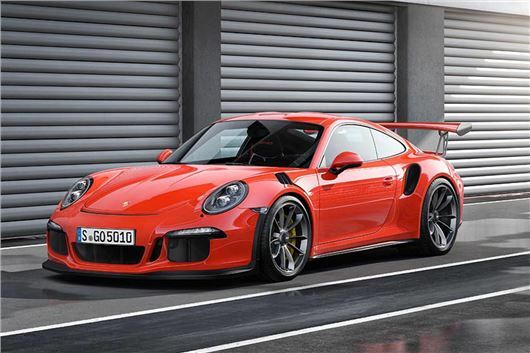 Porsche is equipping all of its launch 911 GT3 RS models with Michelin Pilot Sport Cup 2 ultra-high-performance tyres: 265/35 ZR20 front and 325/30 ZR21 rear. These benefit from motorsport-derived technologies such as Bi-Compound technology, which involves the use of different rubber compounds on the inner and outer sections of the tread and Track Variable Contact Patch 3.0, which optimises pressure in the tyre's contact patch so the same amount of rubber is always in contact with the road or track, whether driving in a straight line or cornering. As a result, Michelin Pilot Sport Cup 2 offers drivers a unique balance between safety and driving enjoyment that makes it suitable for everyday road use as well as in very demanding conditions on the racetrack. Compared to its predecessor the Pilot Sport Cup+, the Pilot Sport Cup 2 lasts up to 50 per cent longer on track while offering faster lap times, improves resistance to aquaplaning in wet weather and maintains high levels of driver safety and enjoyment.